British Expat Guide is a portal for Brits living abroad, and for anybody looking to move outside the UK. Our site was launched in the summer of 2016. We are a small team of British expats currently living in South East Asia. This site is our mission to provide a valuable resource for Brits who have left the UK; or those who need a helping hand in doing so. We believe that globalisation is set to have a huge impact on how ordinary Brits perceive ‘home’ over the coming decades. The idea of a fixed humble abode that we live in from our twenties until retirement is, frankly… out of date. And if it isn’t for you now, it may very well be soon. It has never been easier to move abroad whilst maintaining your relationships with friends and family back in the UK. We are only ever one Facebook alert away from our loved ones, on a device that vibrates in our pockets. In previous decades, British expats had to cope with homesickness and huge sacrifice by moving abroad. There were strings attached to that beautiful beach in paradise, or that climate where it doesn’t actually rain 364 days a year. That simply isn’t the case anymore. Technology connects us all day, every day. The decision of where to live is a lifestyle choice that more and more Brits are ‘hacking’ to create better and more fulfilling daily lives. Through this site, we want to help. What Makes an Expat Guide British? 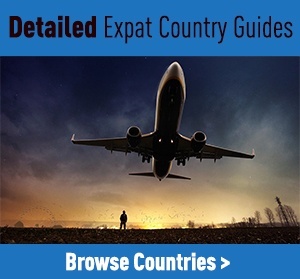 Given that we have so many internationally relevant country guides on moving to Spain or moving to France, for example — what makes us a British expat guide? Whilst we welcome all of our international visitors, we believe the British expat community is unmistakably unique. And so, this website is designed with the famous British psyche in mind. That’s not to say that we’ll point blank refuse to write about locations that don’t sell cups of tea. It simply means our coverage is tilted towards the British way of life, with content produced by British writers who grew up in the UK and will share many of the same quirks as the hundreds of thousands of British expats living around the world. Whether you are British, or not, we hope you enjoy the site. Please do get in touch if you have any feedback, comments or questions.